FREE K-Cups Giveaway! PLUS FREE Fall Recipe eBook! You are here: Home / Expired / FREE K-Cups Giveaway! PLUS FREE Fall Recipe eBook! Have you ever tried Cross Country Cafe for your K-Cups? They often have great deals and offers! Right now they are going to give one of my readers 2 boxes of K-Cups of their choice! Nice! They sent me 2 boxes, too, I chose the Krispy Kreme coffee and Cafe Escapes Milk Chocolate! They have a huge supply of coffees, teas, cocoas, and more! 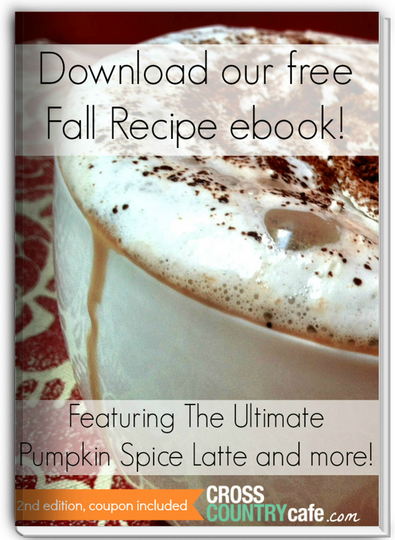 They also have a FREE Fall Recipe eBook you can download to learn how to make some delicious and fun fall drinks! So, head over to Cross Country Cafe and take a look at all of their great deals! 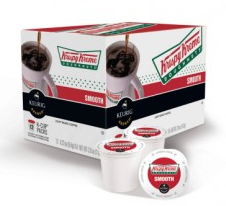 They have K-Cups starting as low as just $6 for 18 cup box – that’s just $0.33 each! 1 Lucky winners will receive 2 boxes of K-Cups of their choice! This giveaway will end Friday, December 19th, 2014 at 11:59 pm Central time and the winner will be emailed soon thereafter. Make sure you add [email protected] to your address book, so you get the email if you win! 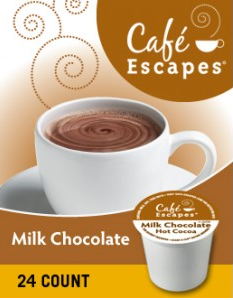 I would like to try the Cafe Escapes Milk Chocolate. I receive Dian’s Daily Deals in my email. I like the sound of Green Mountain’s Caramel Vanilla Cream and Fair Trade Wild Mountain Blueberry. I posted on FB about the giveaway. I would love to try the Krispy Kreme ones, I never knew they existed!